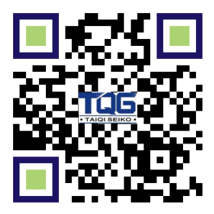 The PC-NMRV worm gearbooxes of TQG has absorbed advanced technology at home and abroad and manufactured according to the national IOS9001 standard. 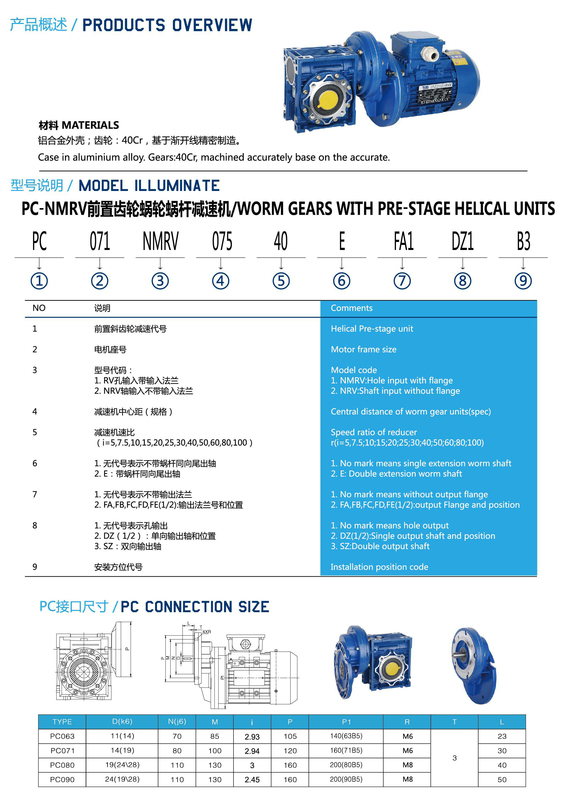 PC means the helical Pre-stage unit. 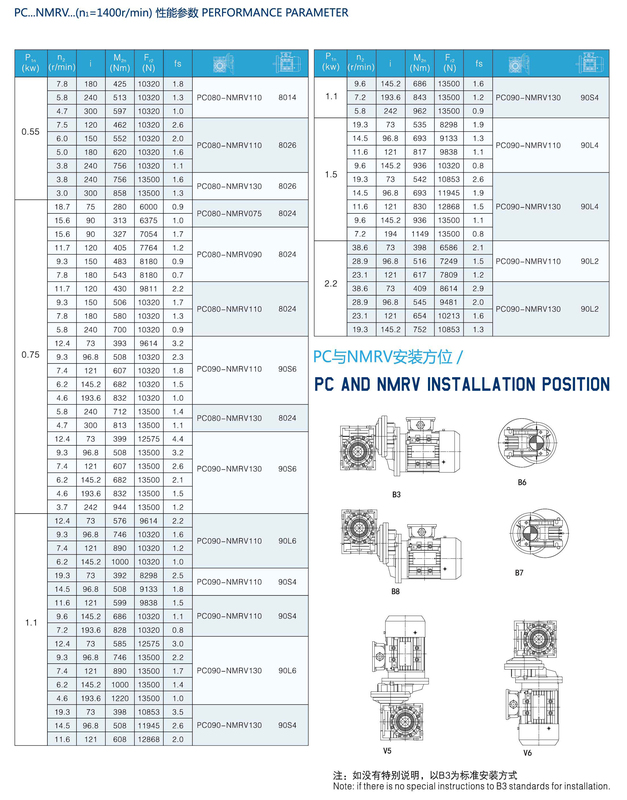 The PC-NMRC adopts advanced square box structure and the shell is made of high quality aluminum alloy die casting, and it has light weight and no rust. 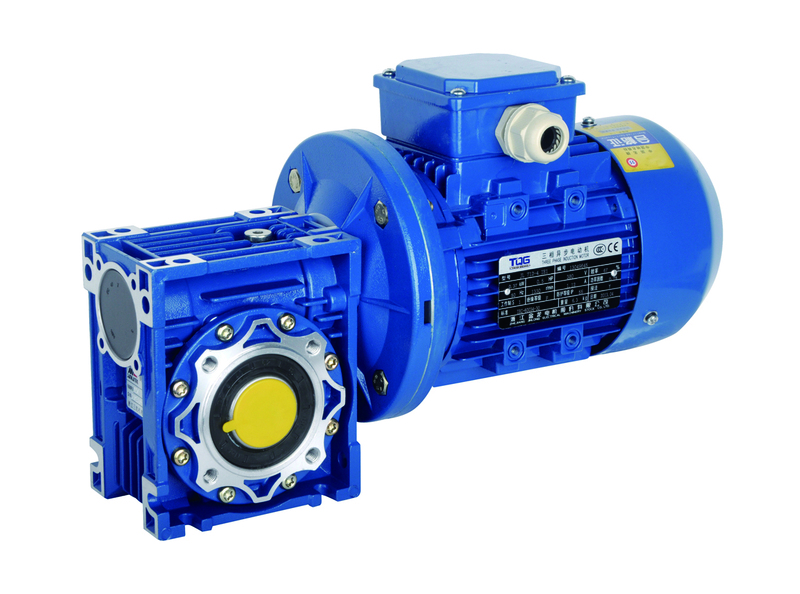 What’s more, it has good heat exchange performance and fast heat dissipation which guarantee the high efficiency and long service life of the worm gear motor. 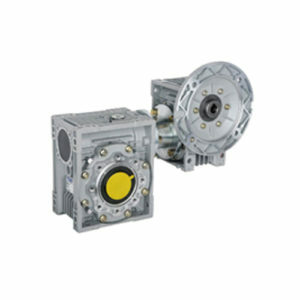 Besides, it could mount with square flange and round flange to match with various types of motors. 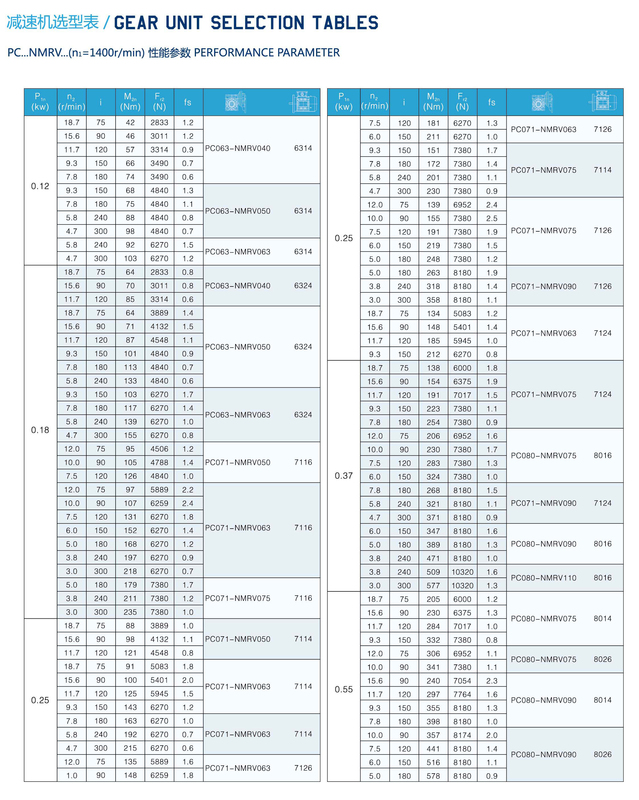 The average efficiency can reach more than 90% due to the rolling engagement of the meshing part of the machine. 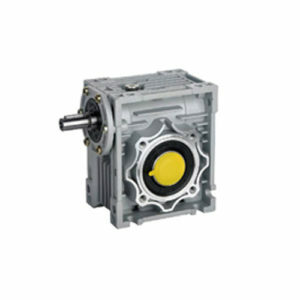 Because the input shaft and the output shaft are on the same axis and the worm gearbox is integrated with the motor directly, so that PC-NMRC worm gearbox of Taiqi is small in size and light in weight. 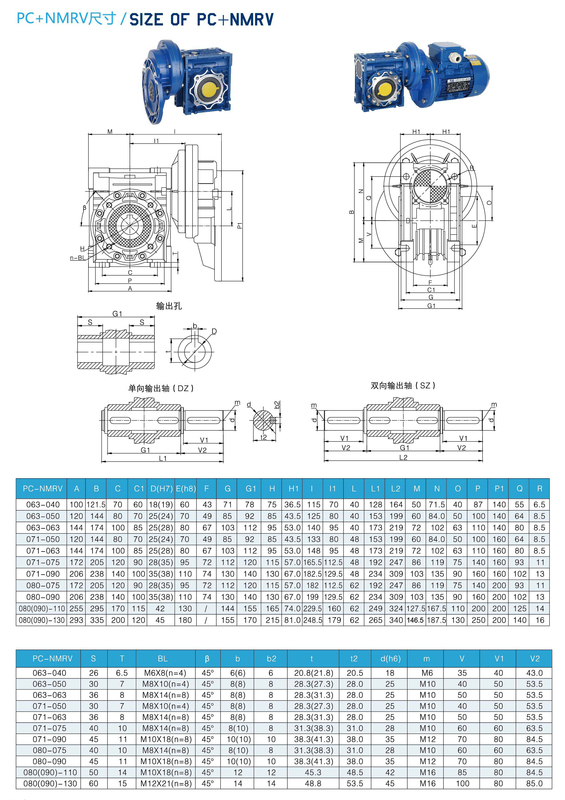 The internal of worm gear is made of tin bronze raw materials with high hardness. 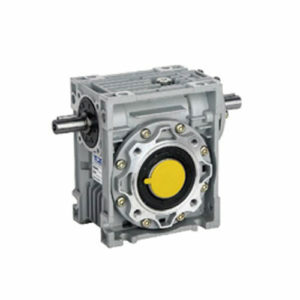 The TQG PC-NMRV worm gear Motor is widely used in automated machinery, environmental testing equipment, electronic equipment, shoe machines, injection molding machine peripheral equipment, leather machinery, high frequency ultrasonic equipment, carton machinery, press peripheral equipment, packaging machinery, advertising equipment, plastic machinery, screen printing machinery, woodworking machinery, textiles machinery, fishery machinery, glass machinery, LED equipment, lithium battery equipment, capacitance testing equipment, instrumentation, food machinery, disabled self-service vehicles, etc.